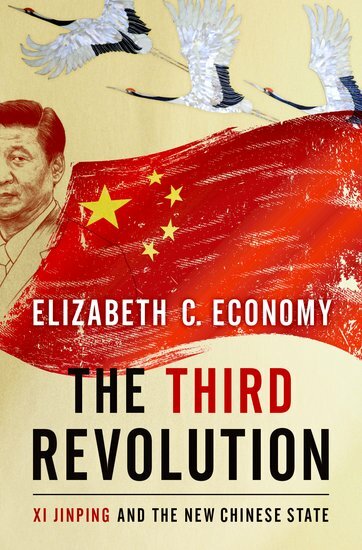 Oxford University Press: In The Third Revolution, eminent China scholar Elizabeth C. Economy provides an incisive look at the transformative changes underway in China today. Chinese leader Xi Jinping has unleashed a powerful set of political and economic reforms: the centralization of power under Xi, himself; the expansion of the Communist Party’s role in Chinese political, social, and economic life; and the construction of a virtual wall of regulations to control more closely the exchange of ideas and capital between China and the outside world. Beyond its borders, Beijing has recast itself as a great power, seeking to reclaim its past glory and to create a system of international norms that better serves its more ambitious geostrategic objectives. In so doing, the Chinese leadership is reversing the trends toward greater political and economic opening, as well as the low-profile foreign policy, that had been put in motion by Deng Xiaoping’s “Second Revolution” 30 years earlier. Through a wide-ranging exploration of Xi Jinping’s top political, economic, and foreign policy priorities—fighting corruption, managing the Internet, reforming the state-owned enterprise sector, improving the country’s innovation capacity, enhancing air quality, and elevating China’s presence on the global stage—Economy identifies the tensions, shortcomings, and successes of Xi’s reform efforts over the course of his first five years in office. She also assesses their implications for the rest of the world, and provides recommendations for how the United States and others should navigate their relationship with this vast nation in the coming years.